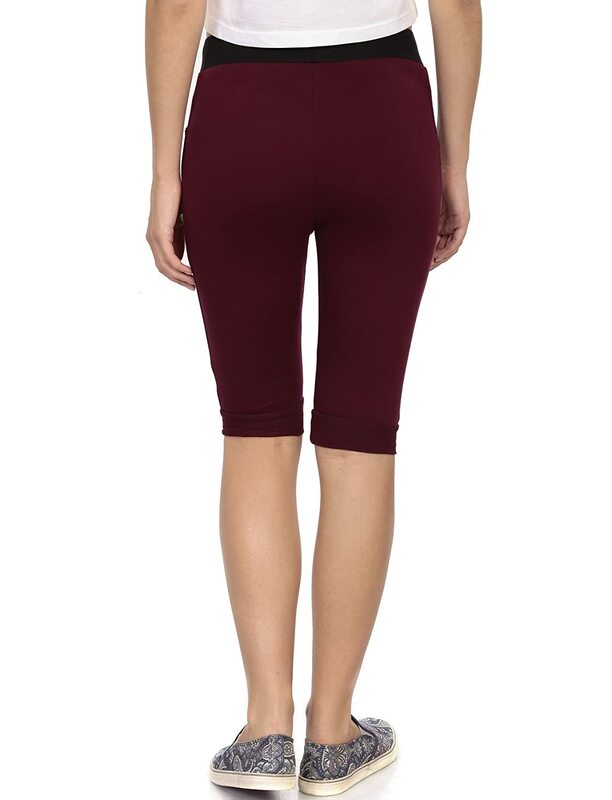 Trendy Pocket & Bottom Rib - Can be used as Yoga wear, sports and Leisure Wear. Goldstroms Womens Polo Capris are Co-ordinates perfectly with all kinds of tees with premium combed cotton rich fabric which provides all day comfort. Specially designed waist band for extra grip and comfort. It can be worn as Yoga wear, Leisure wear, Sports wear and Active Wear. THE MODEL - HEIGHT: 5.8 FEET, WAIST: 24 INCHES HIP: 35 INCHES IS WEARING "M" SIZE"